The event was live-Snapchatted by Spring 16 MFA screenwriting student Lindsey Hall. NYFA can be followed on SnapChat at NYFilmAcademy. These writing students spent their final semester in their Business of Screenwriting classes working with Business of Screenwriting Instructors David O’Leary, Ashley Bank, and Doc Pedrolie, in conjunction with Faculty Chair Nunzio DeFilippis and Associate Chair Adam Finer, preparing and fine-tuning their pitches. 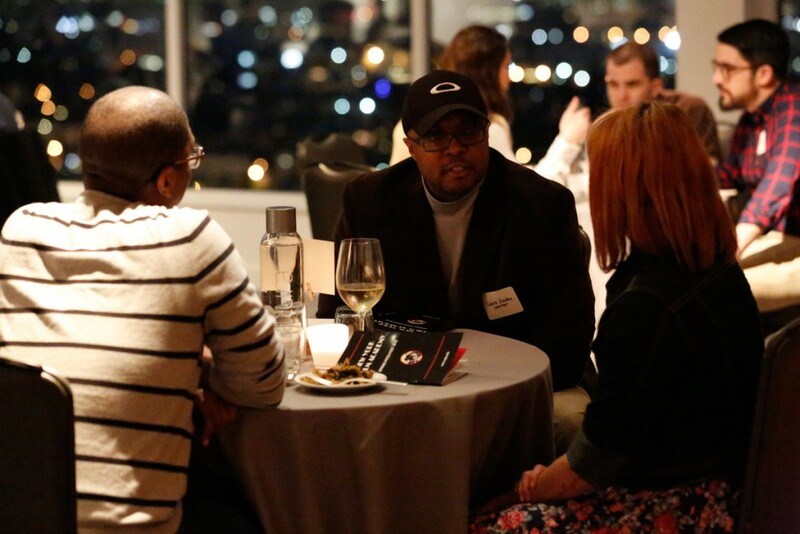 Considered by the school to be their first night as professional screenwriters, this group of bright students brought their A-game, as they pitched agents, managers, studio, and TV and film production company execs in a relaxed, round-table environment. AAO Entertainment, Blumhouse, Blumhouse Tilt, Canny Lads Productions, Dino De Laurentiis, Elevate Entertainment, Imagination 9, Ineffable Pictures, International Film Trust, Intrigue Entertainment, Left Field Pictures, Link Entertainment, Macro Management, Madhouse Entertainment, Manifest Talent, NBC Universal Digital, Nightshade Entertainment, No Bull Script, Okay Goodnight, Orchard Farm Productions, Primary Wave Entertainment, Quadrant Pictures, STX Entertainment, This is Just a Test Productions, and Universal Pictures International. NYFA wishes to thank all of its participants, particularly our industry guests, without whom this evening could not have been possible. Also, we’d like to extend a big congratulations to all of our MFA, AFA, and BFA graduates! Recently, film and video game writer Patrick Hegarty dropped by New York Film Academy’s Business of Screenwriting class to share his remarkable journey of how this one-time professional NFL football player went on to become a professional screenwriter and video game scribe. After 2 years in the NFL, Hegarty attended the University of Colorado Denver and attained his masters in English. The initial plan was to become a novelist, get his PhD, and teach. And for a while that’s what he did, teaching high school English and writing books. However, a unique opportunity came for Hegarty when a friend working in the video game sphere needed a writer to generate announcer commentary material for a new football game they were producing called NFL GAMEDAY, and recruited Hegarty to write the play-by-play dialogue. 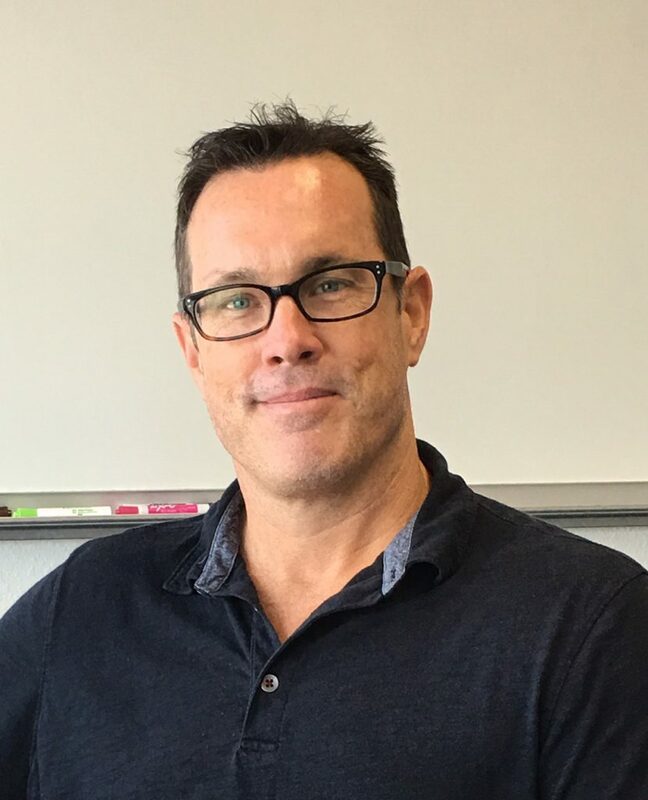 Before long, Hegarty immersed himself in video games, writing the scripts for over a dozen titles for Playstation 1 and 2, including, MLB 2002, The Legend of Spyro: A New Beginning and Eragon, becoming a Senior Writer for Sony Computer Entertainment. 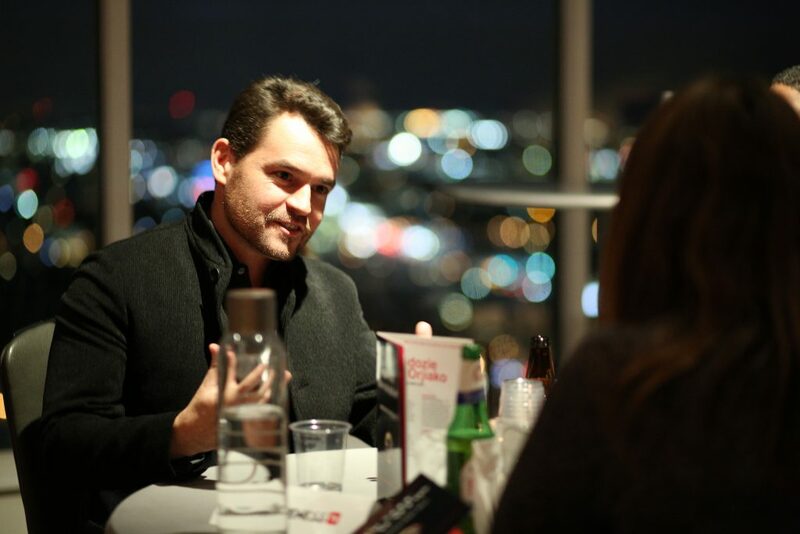 Currently, he is on assignment for Sony and 2K Games on a variety of different titles. However, Hegarty also has pursued an active movie writing career, working on projects with a variety of companies. In the feature space, his script “S.T.E.A.L.” made the Hit List and is in development with Total Entertainment based out Brazil. He’s also working on a feature assignment for the production company Constantin Film (“Pompeii,” “The Resident Evil” franchise, etc.). Hegarty shared insights into his process, tips and tactics for navigating reps and executives, and staying true to your work. NYFA thanks Mr. Hegarty for being so gracious with his time and advice. Recently, the ultra-talented Tim Tori dropped by our Business of Screenwriting class at New York Film Academy Los Angeles to discuss everything from writing independent horror movies to penning the #1 smash hit Vietnamese romantic comedy and everything in between. Tim Tori kicked off his career as a writer/producer by penning the surf-horror movie “Trespassers,” which was released in 2006 by Image Entertainment. 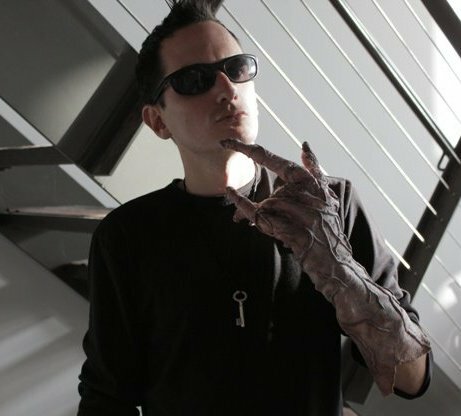 Tori then went on a tear, selling his creature feature spec “Prowl” to After Dark Films. The film was shot in Sofia, Bulgaria, and released in the U.S. in 2011. After Dark continued hiring him to write, produce and consult on multiple projects, including the science-fiction horror movie “51” starring Bruce Boxleitner and Jason London (released in 2011), and he continued his After Dark collaboration by writing the Joel Silver-produced action film “Dragon Eyes” starring none other than the legendary Jean-Claude Van Damme and Peter Weller (released in 2012). Tori discussed how he broke into the business and answered student questions on everything from how to “write scary” to tips for getting representation. Currently, Tori is also co-writing and co-producing the action thriller “Die Laughing” with director/producer/co-writer Bui for Sony’s Stage 6 Films. The latest project on Tori’s slate is “Legacy,” a dark, unique thriller to be produced by Bellevue Productions, yours truly, and Davis Entertainment, who has a first-look deal at Fox. Tori is repped by The Agency For The Performing Arts (APA). NYFA thanks Tim Tori for a great guest lecture! This past week, multi-hyphenate entertainment professional Paul J. Salamoff joined our Business of Screenwriting class to explain how this kid from Natick, Massachusetts went on to work on more than 50 films, TV shows, video games, comic books, and commercials, wearing practically every creative hat imaginable — writer, producer, director, executive, and yes — make-up artist. But, Salamoff was also bitten by the writer bug, and before long his career as a TV and film writer took off as well, with credits including “The Dead Hate the Living” (co-written with Dave Parker), “The St. Francisville Experiment” and “Alien Seige” for the SyFy channel. 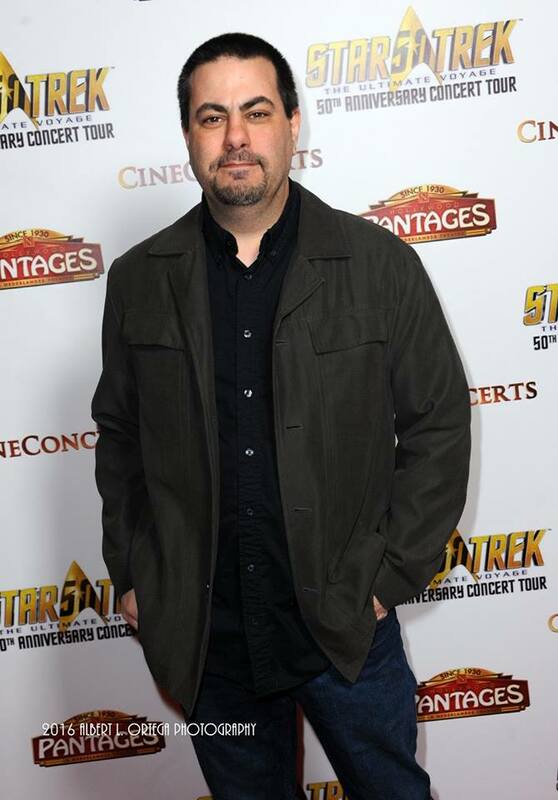 He was also recently named one of The Tracking Board’s Top 100 Up & Coming Screenwriters and has developed projects with Blumhouse Prod., Ritchie/Wigram Prod., Mosaic Media Group, Hollywood Gang, Silver Pictures, Valhalla Motion Pictures, Vertigo, Unstoppable Entertainment (UK) and Eclectic Pictures. Salamoff is also author of the novel “The Silent Planet” and two non-fiction books: “On the Set: The Hidden Rules of Movie Making Etiquette” (which is in its 3rd Edition), and “The Complete DVD Book.” His short stories have been included in acclaimed anthologies including “Midian Unmade: Tales From Clive Barker’s Nightbreed,” and he is a two-time Bram Stoker Award Nominee. Salamoff answered a diverse range of questions from students ranging from how one gets into the comic book and video game writing arenas, to his process when he writes his screenplays (he sees the whole movie in his head before he begins, and bangs out the first draft in a mere 4-5 days! ), to what it was like working on some of the more racy puppeteering and animatronics scenes for some of the most famous Farrelly Bros. movies. A treasure trove of knowledge, as is evidenced by his many successes, the students thoroughly enjoyed his warm energy, breadth of Hollywood experiences, and hilarious anecdotal stories. Next up for Salamoff, (amongst other things – no surprise), he is working steadily on his original horror screenplay “Beyond Repair,” currently being produced by Closed on Mondays Ent. (“Scott Pilgrim vs. The World”) and is directing a Sci-Fi/horror drama (which he co-wrote with Actor/Producer/Director Noel Clarke) for the UK’s Unstoppable Ent. This past week, film producer Chris Armogida visited with David O’Leary’s Business of Screenwriting Class to regale his story of how he went from a development intern to a film producer. 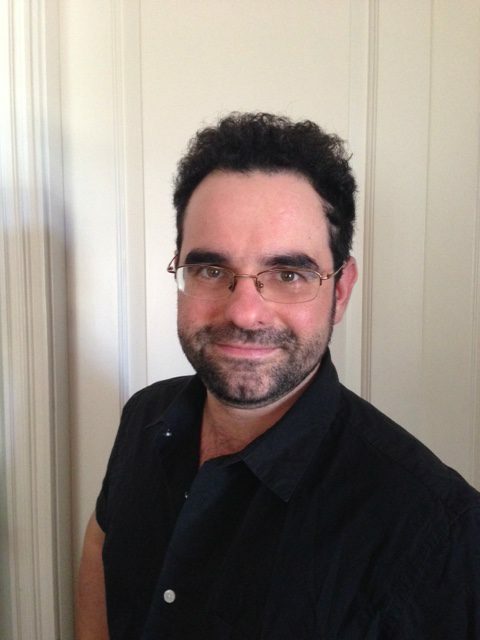 Armogida began his career with development stints at Village Roadshow and Rogue Pictures (the then genre division of Universal). He next became a development executive for film director Bryan Bertino’s production company Unbroken Pictures, where he worked on developing countless projects, many which were set up at studios, including the project Grim Night which sold, amidst multiple bids, to Universal. Also while at Unbroken, Armogida had the chance to work on-set as a producer on Mockingbird (a Universal Pictures film, and Blumhouse Pictures and Marc Platt co-production) and the psychological horror feature February aka The Blackcoat’s Daughter (which A24 is releasing this coming September). Armogida answered student questions about producing and what a producer does, the advantages and disadvantages of independent filmmaking, working in the industry, how to go about getting a job after graduating, and what he looks for in a new writers and projects. 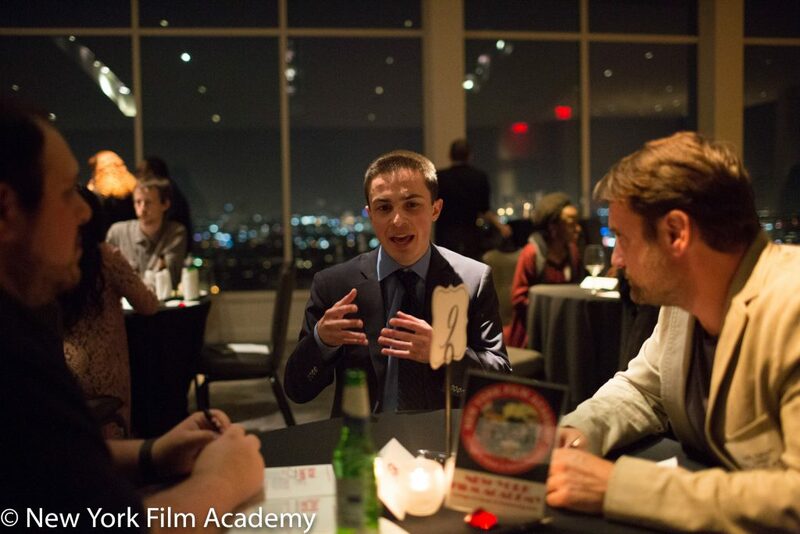 A generous resource, who’s visited the New York Film Academy before, his advice to these students was invaluable. Armogida now runs his own production company Nightshade Entertainment, with multiple projects in development, including We Summon the Darkness written by Alan Trezza (Burying the Ex) and The Importance of Blood, which he’s co-producing with Circle of Confusion. 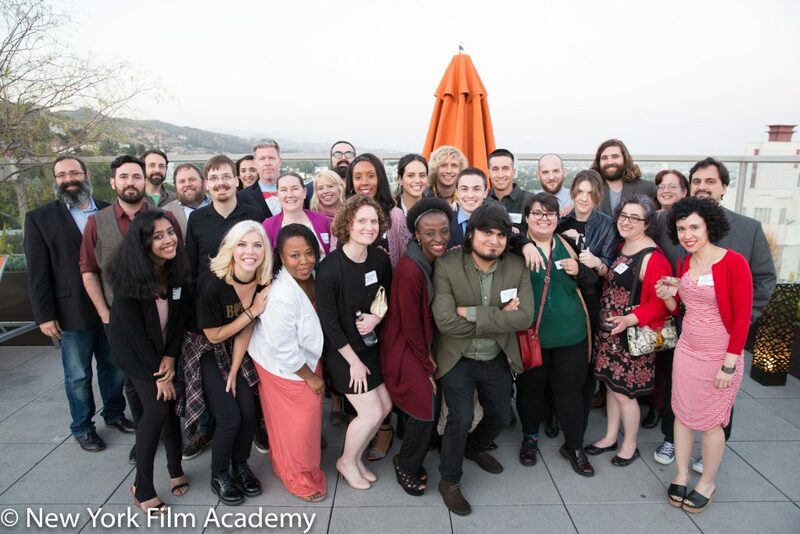 On January 21st, 2016, graduating MFA and BFA New York Film Academy Screenwriting students attended their culminating Industry Pitch Fest Event, held at the penthouse ballroom of the Andaz Hotel up on Sunset Boulevard in West Hollywood. 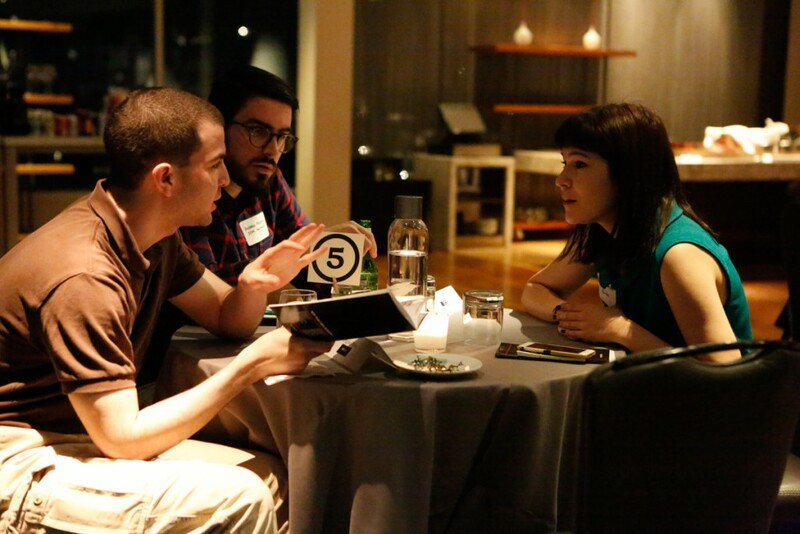 A catered event and mingling opportunity for the students, executives, and faculty alike, this capstone event celebrated the New York Film Academy’s graduating Screenwriting students, offering them a professional outlet to jumpstart their careers by pitching their thesis projects to industry executives. These writing students spent their final semester in their Business of Screenwriting III class, working with Business of Screenwriting instructor David O’Leary and Pitching instructor Ashley Bank, preparing and fine-tuning their pitches for their thesis film and TV projects. And they shined on this pinnacle evening, leaving with new professional contacts and a wave of interest in the scripts they’d worked so hard on all year. 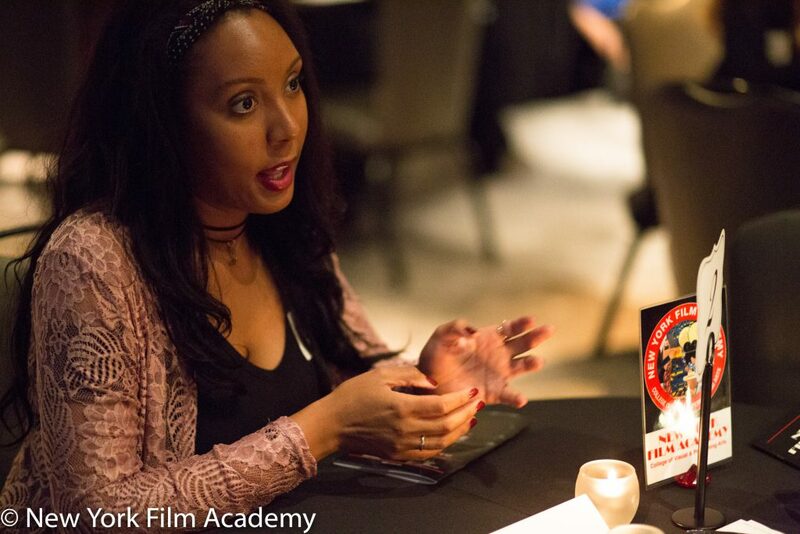 Considered by the school to be their first night as professional screenwriters, this group of bright students brought their A-game, as they pitched agents, managers and production company representatives in a relaxed, round-table environment. The Screenwriting Department faculty who’d worked with the students all year came out to support them in this important and successful evening. 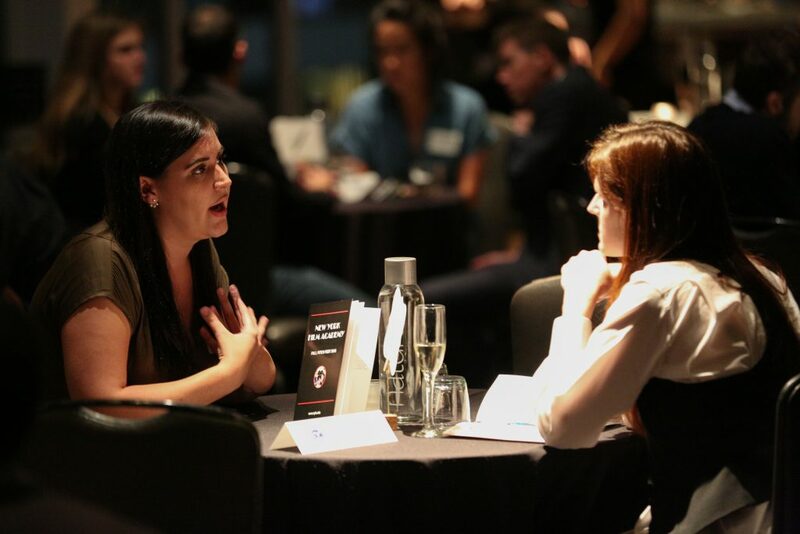 Organized and hosted by O’Leary, the event featured representatives from various Hollywood companies, including literary agencies, management companies, and TV and Film production companies. Attendees included: BenderSpink, Bright Whale Entertainment, Blumhouse, The Coalition Group, The Dino De Laurentiis Company, Elevate Entertainment, ICM Partners, Kaplan/Perrone, Madhouse Entertainment, Magnet Management, Manifest Talent Group, Next Level Entertainment, No Bull Script, Original Film, Quadrant Pictures, RatPac Entertainment, Reel FX, Scenario Entertainment, Super Vision Entertainment and Writ Large Entertainment. NYFA wishes to thank all of its participants, particularly our industry guests, without whom this evening could not have been possible. Also, we’d like to extend a big congratulations to all of our Fall’14 MFA and BFA graduates! 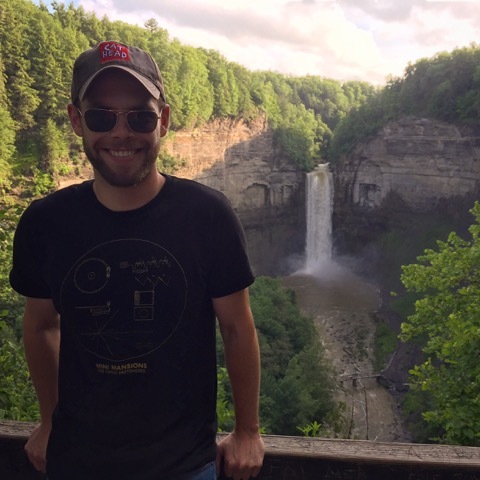 Recently, former development exec-turned screenwriter Tyler Savage joined New York Film Academy’s Business of Screenwriting class to tell his journey from going from a one-time development intern to adapting Chuck Klosterman’s novel Killing Yourself to Live for the silver screen. A rare Angelino native, Savage grew up in North Hollywood writing plays in high school. Savage knew that interning was a great foot in the door, and after college, while still living at home, applied to production companies all over town, eventually landing an internship at Gianni Nunnari’s production company, Hollywood Gang Productions (300, IMMORTALS), which then had a deal on the Warner Bros. lot. Savage got a rare lucky break, which often doesn’t happen in this business, when, as an intern, he was asked to become Nunnari’s assistant. 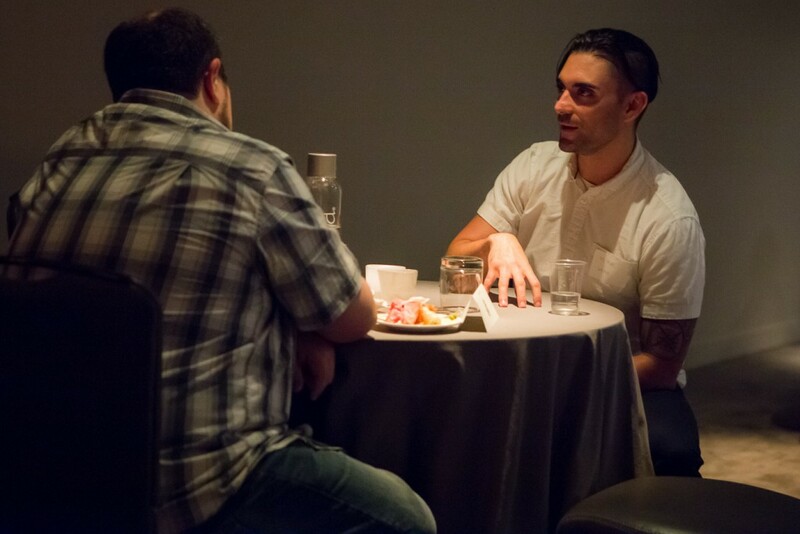 “We had Immortals going into production and it was a great opportunity.” Savage explained how valuable it was to be in the room and see how the development process worked, and to witness what happened after a writer left the room — who had a good meeting, who had a bad meeting and why. After the movie, Savage stayed at Hollywood Gang and was promoted to Story Editor, but the writing/filmmaking bug never left him. Before long, Savage got a job working for acclaimed visionary director Terrence Malick after working as a PA on-set and lobbying himself for the position when another assistant left. 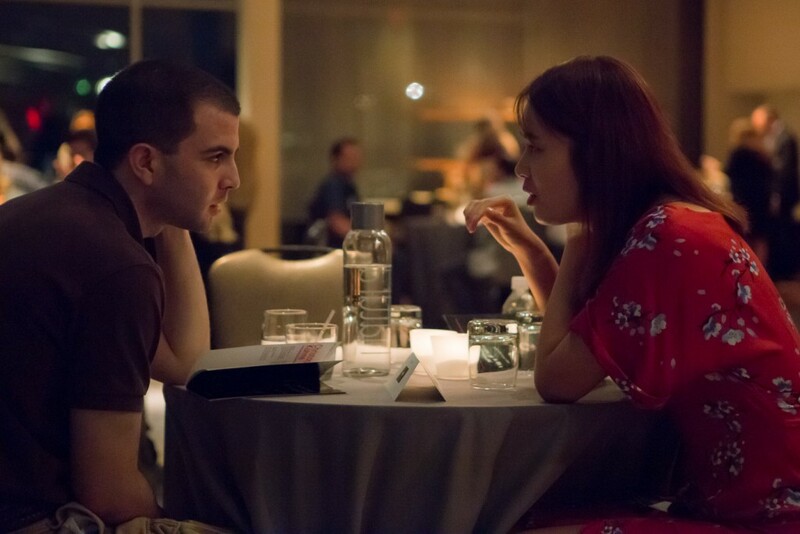 First up, Savage worked on a still Untitled Project, about two intersecting love triangles, and obsession and betrayal set against the music scene in Austin, Texas. It stars Christian Bale, Michael Fassbender, Natalie Portman, Rooney Mara and Ryan Gosling among others. Next, Savage worked on Malick’s film, Knight of Cups, which opens March 4, 2016 and, perhaps apropos, is about a screenwriter living in Los Angeles trying to make sense of the strange events occurring around him. “We had an amazing cast, Christian Bale, Natalie Portman, Ben Kinsley, Cate Blanchett.” For his work, Savage received an Associate Producer credit on each of Malick’s film. All the while, Savage stayed writing, working on his craft with his writing partner, Dash Hawkins. Eventually, Savage and Hawkins wrote an action/thriller script called No Man’s Land that garnered the attention of managers at Madhouse Entertainment. It’s about a former Army Ranger-turned-local-Sheriff who must resurrect his military skills in order to save his troubled son, who’s run away from home and unwittingly into the clutches of a drug cartel operating in the Pacific Northwest. Tyler Savage lives in Los Angeles and has a period horror feature script that’s out on the market. He is repped by Madhouse Entertainment. 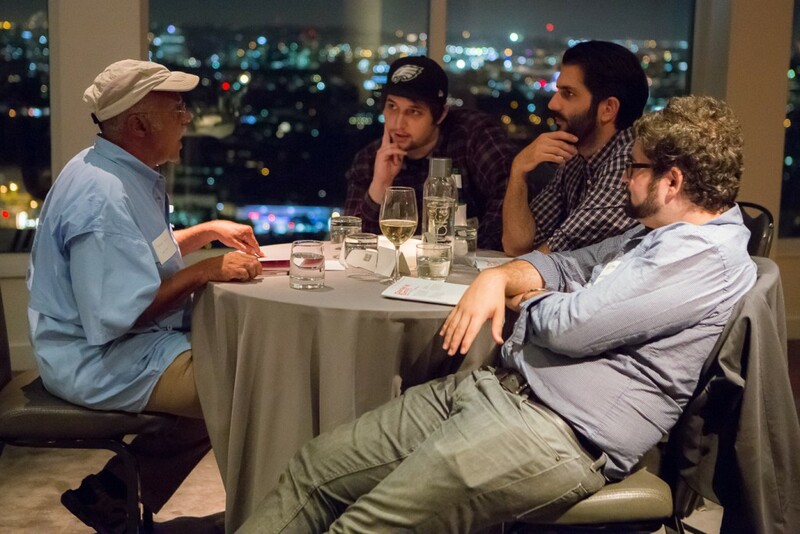 On September 17th, 2015, graduating MFA, BFA, and AFA New York Film Academy Screenwriting students attended their culminating Industry Pitch-Fest Event, held at the Andaz Hotel up on Sunset Boulevard in West Hollywood. 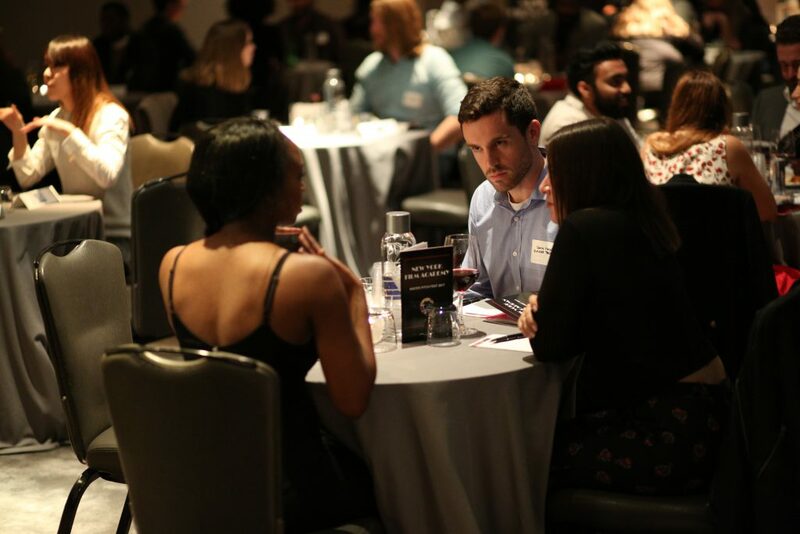 A catered event and mingling opportunity for the students, executives, and faculty alike, this capstone event celebrated the New York Film Academy’s graduating MFA, BFA, and AFA Screenwriting students, offering them a professional outlet to jumpstart their careers by pitching their thesis projects to industry executives. These writing students, having spent their final semester in their Business of Screenwriting III class preparing and fine-tuning their pitches for their thesis film and TV projects, shined on this pinnacle evening, leaving with new professional contacts and a flurry of interest in the scripts they’d worked so hard on all year. 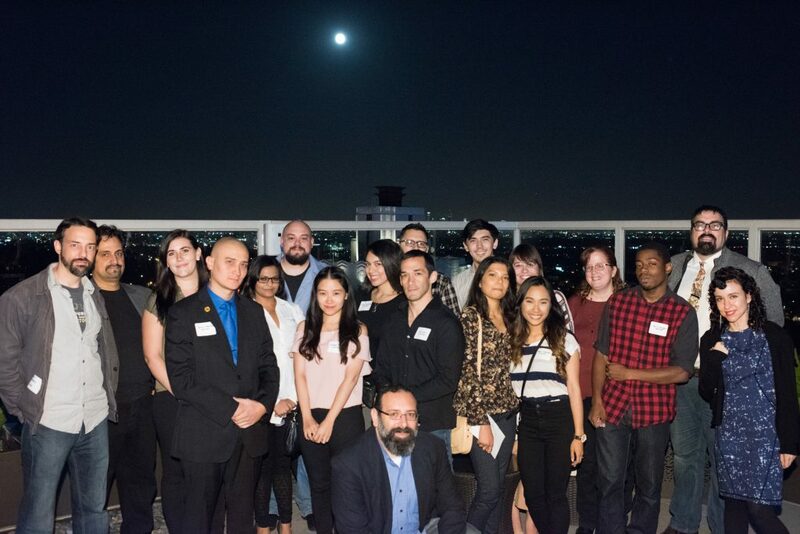 Considered by the school to be their first night as professional screenwriters, this group of bright students brought their A-game, as they pitched agents, managers and production company representatives in a relaxed, round-table environment. 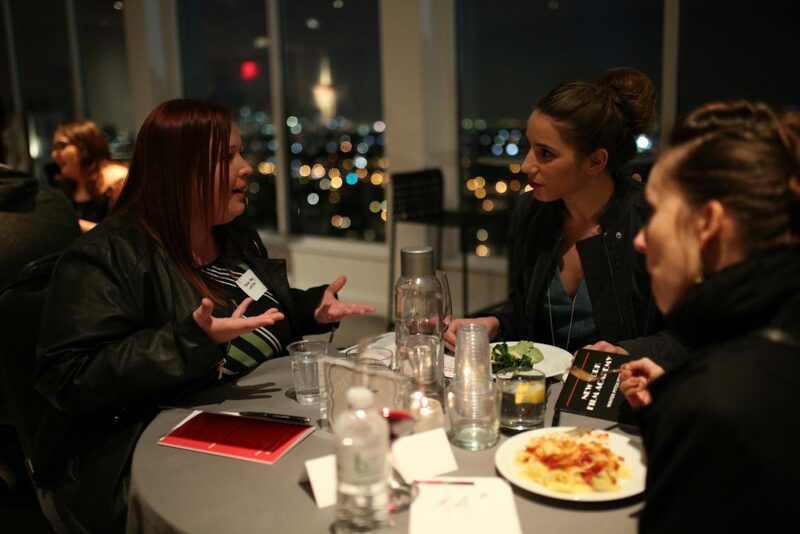 Hosted by NYFA’s Business of Screenwriting curriculum head, David O’Leary, in conjunction with NYFA’s Screenwriting Chair Nunzio DeFilippis and Associate Chair Adam Finer, the event featured representatives from various Hollywood companies. Attendees included Hollywood literary agencies and management companies, including representatives from ICM, BenderSpink, Underground Management, and Next Level Entertainment, as well film and TV production companies, including Original Film, Marc Platt Productions, Taggart Productions, Closed on Monday / Oni Press, and Bright Whale Entertainment, amongst others. 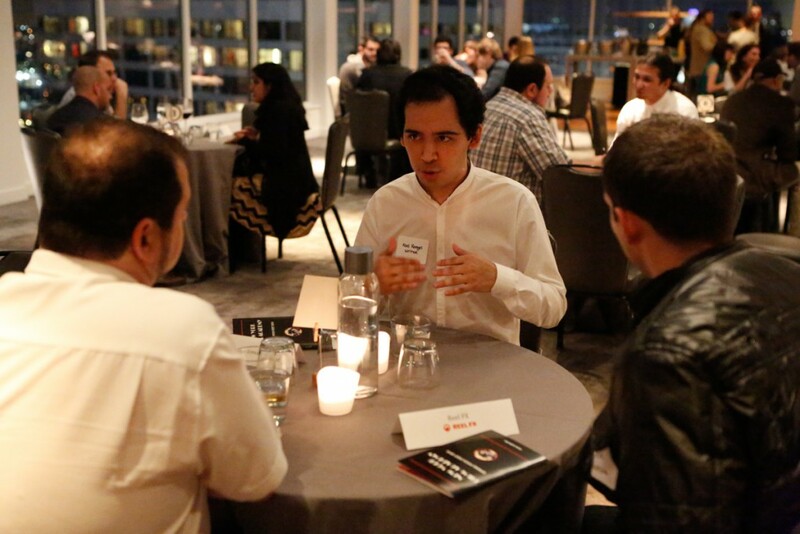 NYFA wishes to thank its participants, without whom this evening could not have been possible. Also, we’d like to extend a big congratulations to all of our May ’14 MFA, BFA and AFA graduates!